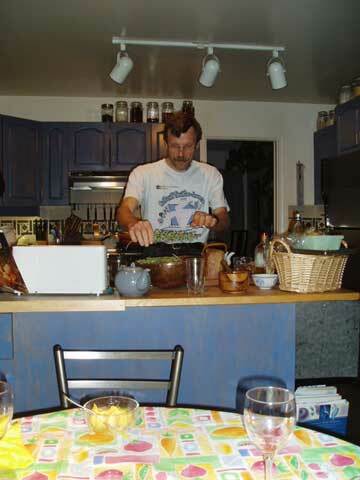 I am an avid hobby cook, preparing everything from scratch and from our organic garden, which provides us with vegetables year round and with many fruits and berries in season. I wouldn't mind a bigger kitchen, though, as there is little space for two people at the same time, especially with my rapid turning movements. Here some of the vegetables we eat harvest and eat in October, November, and February.